As Director of Western Region Investment Services for Colliers International, Gian specializes in the representation of institutional clients in the acquisition and disposition of industrial properties throughout the Western United States. Gian leads the team’s underwriting and financial analysis from the initial Opinion of Value through the Close of Escrow. Gian is also responsible for investor interfacing and marketing strategy execution of all properties marketed by Colliers’ Institutional Investment Services Group. In addition to working as a financial analyst in capital markets brokerage, Gian has worked on the ownership side of transactions for several years. This well-rounded experience gives him insight into the requirements and thought process of investors in today’s market. Gian graduated in 2011 from Villanova University in Pennsylvania with dual degrees in Finance and Economics as well as a minor in Commercial Real Estate. He was a Founding Brother of the Villanova Sigma Phi Epsilon chapter, a member of Order of Omega Greek Honors Society, and was on the Club Rowing/Crew Team. After nearly three decades in the industry, Michael Kendall has experience in every aspect of commercial real estate, including brokerage, development, acquisitions, entitlements, asset management and construction. As Western Region Executive Managing Director of Investment Services for Colliers International, Michael and his team specialize in representing institutional owners as well as high-net-worth individuals, local entrepreneurs and private equity funds in the sale of industrial investments, including land. Having sat on the ownership side of transactions for so many years, Michael has a unique perspective relative to the needs and expectations of investors in today’s dynamic market. He is skilled at negotiating complex transactions and is well respected for his integrity and tenacity. Since 2015, Michael and his west coast team have closed more than $7.1 billion in individual property sales, totaling more than 62 million square feet. When portfolio sales are included, the totals increase to $12.7 billion and 125 million square feet. 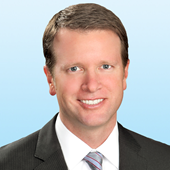 Prior to joining Colliers, Michael was a Senior Vice President at CBRE Group and a member of the firm’s National Partners Industrial Platform. Previously, Michael was Vice President of Development and Director of Acquisitions at Turner Development/Turner Real Estate Investments. Before that, Michael was an Orange County Regional Partner for Koll Development Co.